Senior defender and LSM Justin Cheng of Beckman signed a letter of intent this week to play lacrosse at the University of Notre Dame. Until very recently, Cheng had been committed to Bryant University. A two-time All-Orange County selection and the 2017 Pacific Coast League MVP, Cheng had been committed to Bryant since Aug. 2016. Switching to Notre Dame so late in the process was not an easy decision. Cheng joins Santa Margarita senior middie Quentin Buchman, also a former Bryant commit, in Notre Dame’s 2018 recruiting class. 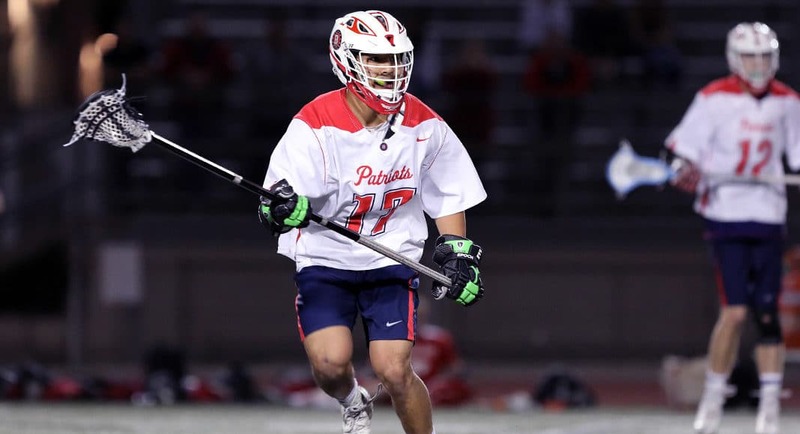 Beckman coach Matt Cannone highlighted Cheng’s leadership, as much as his talent, as a key for the Patriots. Last spring, Cheng collected 137 ground balls and caused 63 turnovers in 17 games for the Patriots. That followed a sophomore season in which he had 115 ground balls and 56 caused turnovers in 18 games. As a freshman, Cheng had 78 GBs and 36 CTOs. He also has a knack for turning ground balls and turnovers into offense, compiling 26 goals and 12 assists in 52 career games. None of that, of course, he did alone, and he is well aware of that.